When searching for custom WordPress development Dublin, Clear Ink chose me. 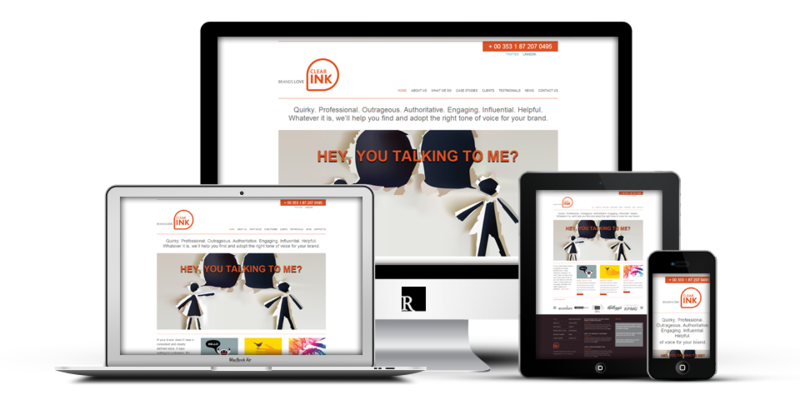 Clear Ink is a global brand tone of voice consultancy based in Dublin, Ireland. They help many of the world’s top brands find their corporate tone of voice. Clear Ink helps bring your brand voice to life so you can stand out from the crowd, communicate your messages effectively and really engage your audience. I was commissioned to develop a mobile responsive WordPress website for this Dublin based business. Armed with their sitemap, fully-layered PSD wireframes and text/image content, I began by converting their PSDs to static HTML/CSS. Following that, I began the process of custom WordPress theme development. I took the static code and injected some PHP/MySQL to give that dynamic functionality of a WordPress theme. Their website is already enjoying high Google rankings and displays perfectly on phones, tablets, laptops and larger screens. With my website management PDF, this client now manages the site themselves from their easy to use CMS. View the site or view more projects.